Available between 2nd – 15th July, The Headland Hotel will be celebrating Wimbledon by ‘serving’ up a very special afternoon tea with a tennis-themed twist. 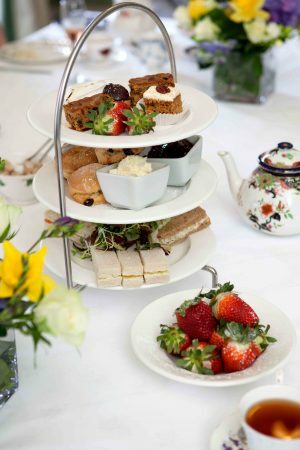 You’ll win ‘game, set and match’ with the specially created treats including delicacies taking inspiration from strawberries, cream and all things summer, all accompanied by loose-leaf Tregothnan tea. Enjoy your afternoon tea in our stunning Victorian ballroom, all whilst taking in panoramic views of the stunning Fistral Beach – we’ll even have Pimms available to purchase to go along side! A Wimbledon Afternoon Tea will cost £19 per person and £12.50 for under 12s. For more information, please visit the website or call 01637 872211 to book.